For more than two decades, a consortium of CIBERs has been assisting HBCUs with faculty development, study abroad, faculty development abroad, grant writing and pedagogical resource sharing activities. This has been the largest platform for CIBER collaboration and has created much goodwill among HBCUs. GSU-CIBER serves as the lead CIBER, among 10 other CIBERs, in this collaborative effort, which was expanded in 2014 to include Hispanic Serving Institutions (HSIs) and other Minority Serving Institutions (MSIs). 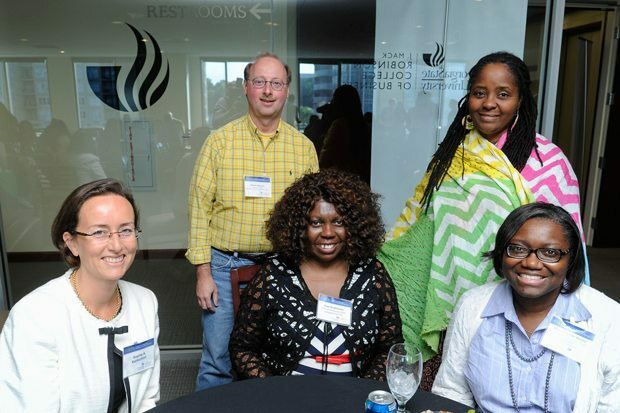 Institutional Mentoring Program: Sponsoring CIBERs partner with an HBCU/HSI as a sponsor of the Minority Serving Institution Mentor Program, and provide faculty development support and technical assistance with program planning, implementation, and grant writing and assistance with the internationalization of its business programs. International Business Pedagogy Workshops: The annual faculty development workshops have trained over 1,500 faculty around the country over the past two decades. Previously hosted by the University of Memphis CIBER, the workshops are designed to help U.S. business faculty bring international context into the classroom and to expand their classroom knowledge and skills. GSU-CIBER International Business Case Competition: Open to students from the MSI Consortium, this two-day event brings together seven to ten teams from the MSI Consortium, with four undergraduate students per team. The teams receive an internationally focused business case and present their solutions to a panel of judges consisting of executive leaders from the Atlanta business community.